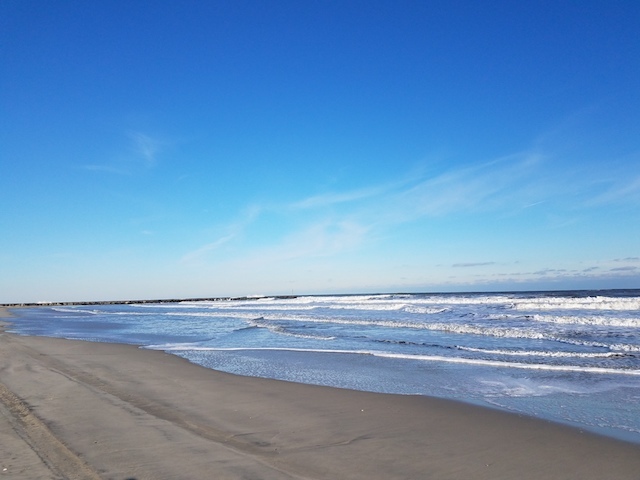 I took a “lunch break” walk from my office to check out the beaches after the weekend storm…and watched a few surfers taking advantage of the BIG waves at 10th Street! 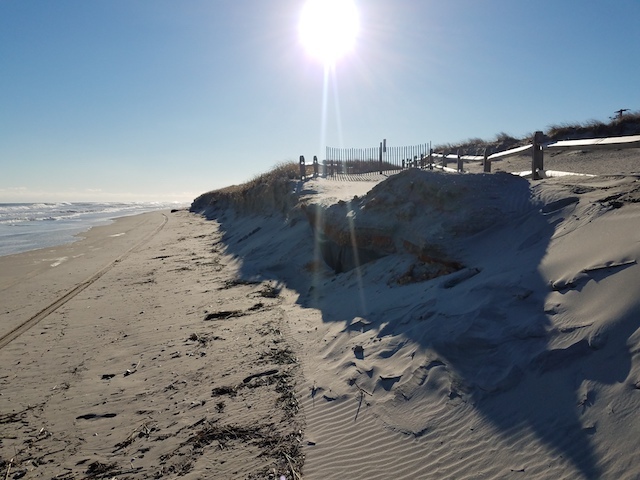 Some minor erosion at the north end, causing the 11th Street path to be temporarily fenced off on the beach side. 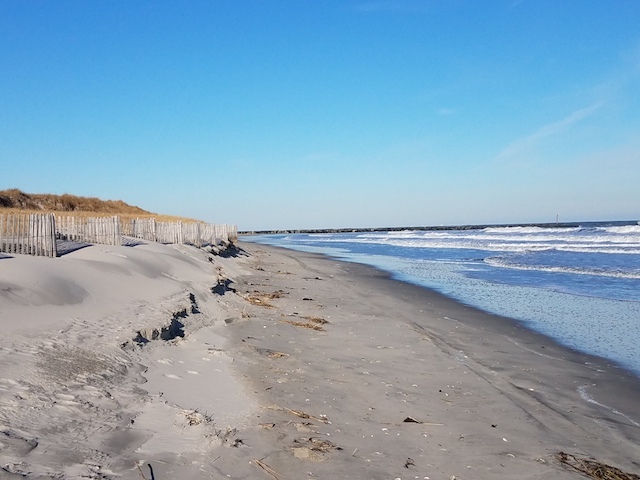 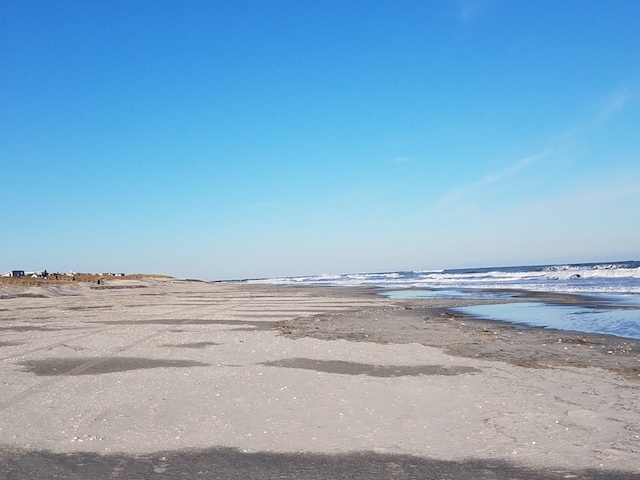 From 10th Street north to the jetty, and again from 12th Street south, all beach paths are open. 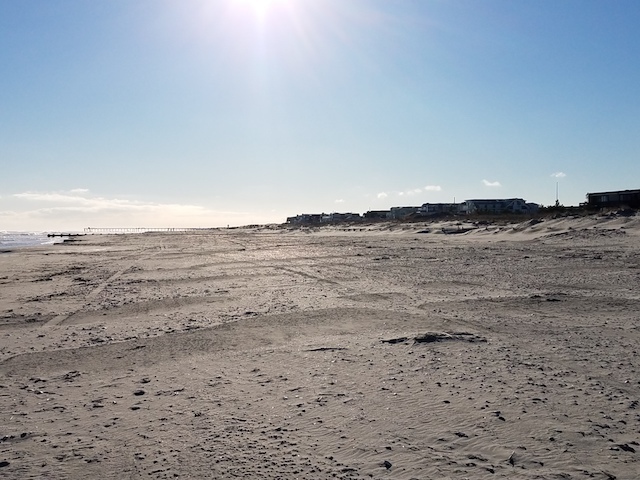 And the dunes remain in great shape.